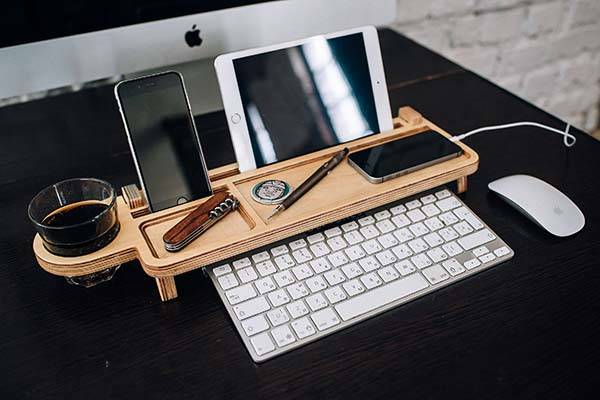 The handmade wooden customizable desk organizer is designed to give you a neat and clean desktop, and the space under the tray keeps your keyboard hidden in place. Like the design? Let’s keep checking. This is a well-crafted and versatile wooden desk organizer that measures 18.3 x 5.5 x 2.2 inches. 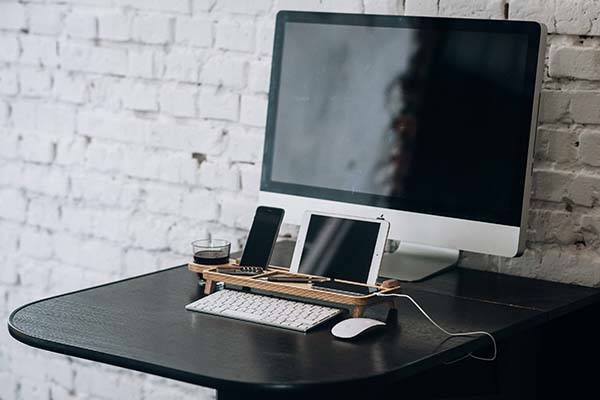 As we can see from the images, the desktop organizer sports a sleek and natural aesthetic style defined by the charming wood gain and slim form factor, so you can effortlessly place it on any desktop and it matches well with various desks in different styles using four optional main colors. The customizable desk organizer is made of high-quality waterproof plywood with 0.6 inches thickness and treated with varnish in order to deliver a durable and long-lasting construction. 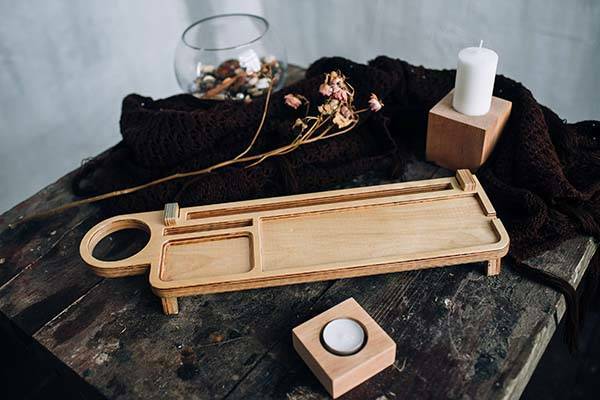 The wooden organizer has two trays in different sizes to keep your items organized, and two custom grooves serve as tablet and phone stands to keeps your mobile devices upright for charging and handsfree viewing. Moreover, a seamlessly integrated cup holder lets you conveniently access to your favorite beverage, and the area under the organizer can be used to store a compact keyboard. In addition, the wooden organizer is customizable by engraving your own text or image. The handmade customizable desk organizer is priced at $29.68 USD (extra $8.68 for customization). If you’re interested, jump to Etsy for its more details.